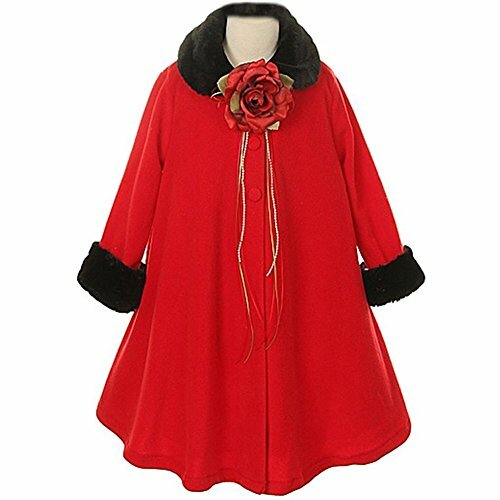 Fabulous fleece coat made with top quality fur trim. Detachable flower brooch adorn with trailing ribbon and pearls. Tea length coat. Available in 5 color options and size 2 - size 12. Fleece style coat made with top quality fur trim. Comes with a removable elegant corsage with trailing ribbons. Fully lined with three buttons closure at top.